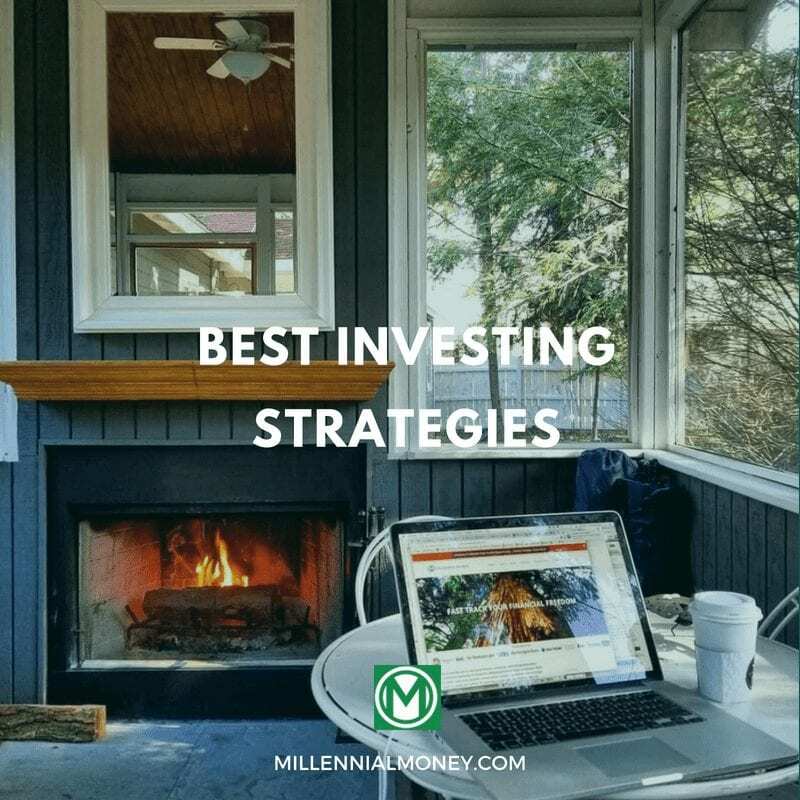 The two most frequent questions I get from Millennial Money readers are “what do you invest in” and “what are the best investing strategies?” I’ve received over 300 of those emails in the past month alone. 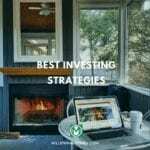 The best investing strategies are one where you can maximize your return while minimizing your risk, and while you can invest in literally anything, the best investments I’ve found are stocks, bonds, and real estate. Below is the investing strategy I’ve used and still use to this day to build wealth. I’ve outlined some of these ideas before in my millennial millionaire strategy and millennial money portfolio posts, but this post focuses exclusively on investing. Nothing I did or do is magic. I don’t day trade, buy calls, short sale, buy tax liens, broker debt, or invest in any type of hedge funds. A few readers think I must have won the lottery and that it’s impossible to go from $2.26 to over $1 million in 5 years. Unfortunately, in the United States a majority of the population think the only way you can actually get rich is by winning the lottery. This is why Americans spend over $70 billion on lottery tickets each year, which is more than we spend on books, music, movies, video games, and sports tickets combined! Whaaa? The average person spends over $800 per year on lottery tickets and some people even believe they are investing when buying these tickets. Simple math shows that if they put that $800 into the Vanguard Total Stock Market Index Fund each year over the past decade they would have $13,071, but many of them are broke. 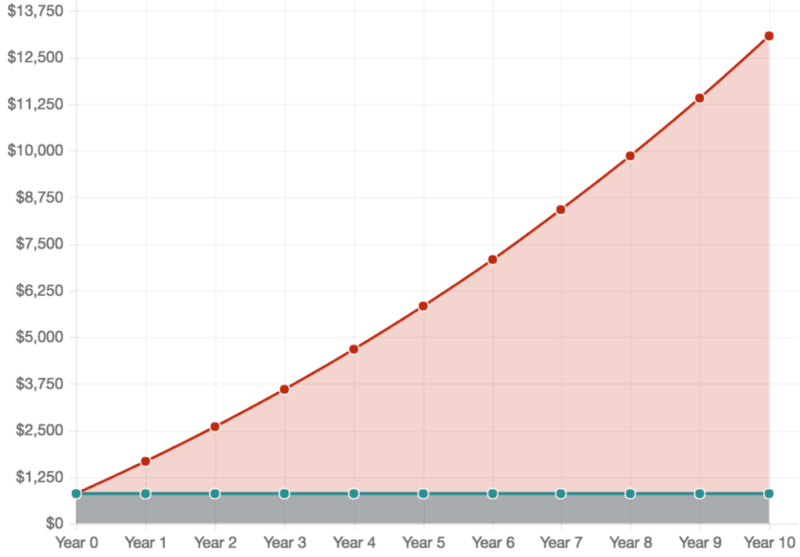 The decision to invest instead of buying lottery tickets over a 10 year period. The primary reasons why people don’t invest is because they think investing is complicated, it’s too risky, or they think it’s gambling. A lot of people are also afraid. So in this beast of a post, I am going to outline my investing strategy and why you should stop thinking about a saving rate and start thinking about an investing rate. These are tried and true investing principles that have not only worked for me, but they’ve actually worked for millions of people to help them build wealth and reach financial independence. 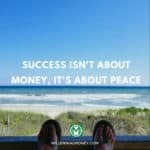 While everyone’s personal situation is unique, there are some general principles here you should pay attention to if you want to build wealth. I hear more terrible investing ideas, than good ones. I was just at a wealth expo and 90% of what the speakers shared was not only wrong, it was dangerous and destructive. I watched as over 6,000 people listened to pitches for everything from tax liens to software the speaker promised only picked winning stocks (just click the green arrows!). It was all crap and a majority of the audience fell for it – lining up to pay thousands of dollars on speculative investing products that promised 30%+ per year. Thousands of people fell for it. They were swindled by slides that showed manipulated data (like screenshots and links to random articles over 15 years old). It was crap, but people lined up to buy it all. They will very likely all lose their money on strategies that don’t work. I’ve also had family members who have gotten screwed by financial advisors who promised returns of over 30% per year. They are usually dudes with nice suits and big smiles, who talk about how many assets they have under management or that they are “conflict free”. If a dude looks sleazy than he probably is and if anyone promises you any type of return over 12%, 99% of the time they are probably playing you. Sure, there are great financial advisors out there (I’m not hating), but a lot of people who sell investing products or work with money, just want your money. I’ve watched too many people get screwed to just stay silent. That’s one of the primary reasons I started this website because there’s just so much confusing and misleading information out there. Don’t fall for the scams or crappy investments. A vast majority of you if you are reading this post or the Millennial Money blog, you can invest for yourself. It’s not that hard and I will show you what I do below. 2. Getting returns over 12% per year is ridiculously hard and if anyone promises you a return they are probably full of it. If it sounds too good to be true, it is. 3. If you don’t understand it, don’t invest in it. Period. 4. If one of your friends recommend an investment that’s making them a ton of money, they are probably suckers too. Most “investments” people sell might have worked one time, if at all, and simply can’t be recreated by you. If you see the “results not typical” on any marketing materials rip them up and run the other way! 5. There are no “secrets of the super wealthy” that anyone will sell you for $500 or that you can actually take advantage of unless you have hundreds of thousands of dollars. I wanted to hit the guy that kept saying this onstage. If you made it this far in the post, you can totally do this. A lot of readers ask what they should do if they have $1,000, $5,000, or $10,000 to invest and these ideas all apply. Some brokers like Vanguard have a $3,000 minimum for mutual funds, but no minimums for ETFs. So you can invest in a Total Stock Market ETF with as little as the price to buy one share. I don’t invest in anything I don’t understand. I’ve worked super hard for my money and don’t gamble it on investments I don’t understand. So many people, especially now that they know I have some money, try to sell me stupid investments. I don’t listen to pitches unless I solicit them. An investment has to be really compelling for me to go beyond my core investing strategy. A vast majority of my money has been made and still sits in the following investments. There’s a big difference between long-term and short-term investing. A lot of people don’t invest in stocks because they are afraid of losing money in the short term – which only really matters if you need the money in the short term. But if you are investing for the long term, then I don’t know of any better investment than equities or real estate. Sure, stocks can go down, but over any 10 year period in history they are always up at least 7% per year when the gains and losses are averaged out. Here is how I invest for the long and short term. I manage 100% of my long-term investments myself and still follow my daily investing habits – putting money into my investing accounts every morning when I’m drinking coffee. I don’t work with any type of financial advisor or firm. It’s actually pretty easy to do yourself with a bit of reading and emotional bulletproofing. A vast majority of the reason people get poor investment returns is because they get emotional. This is one of, if not the primary benefits of working with a financial advisor – they can help you control your emotions. You can also teach yourself, like I did, through reading investing books and blogs. A lot of anxiety and emotions around investing are simply due to a lack of knowledge. It only takes one book and you get it. If you only have the ability to read one investing book here’s my favorite – The Coffeehouse Investor: How to Build Wealth, Ignore Wall Street, and Get On with Your Life . Once you realize how investing works – the opportunities and how to minimize your risk, it helps take the emotion out of it. This is why I always recommend maxing out your 401k, Roth IRA, and if you have a side hustles, your SEP-IRA before investing in anything else. One cool feature of most IRA accounts is that you can buy and sell stocks inside them. I buy AMZN in my SEP-IRA. Unfortunately, since the IRS wants to get its money, there are contribution limits on any tax-advantaged retirement account. In 2017 I am able to put $5,500 in my Roth IRA (through a traditional IRA backdoor conversion), $18,000 in my 401k, and 25% of my side hustle income into my SEP-IRA. Then the money I have left over, I invest in my Vanguard brokerage account. 70% of my long term investments are in index funds. My two favorites are the Vanguard Total Stock Market Index Fund and Vanguard Total Stock Index Fund, but I invest in a few others highlighted here. About 80% of my index investments are in domestic funds, and 20% international. I’m heavily invested in equities for the long haul. The best thing about keeping money in these index funds is that I don’t have to worry about it and they are low-tax since very little trading is done within them. Also, 90%+ of investors don’t beat the stock market, so I prefer to track the market instead. Every dollar I invested when I started by financial independence journey in 2010 is now worth over 3 dollars today. That’s an insane return for just a few clicks on my phone. 20% of my long term investments are in individual equities that I plan to hold for the long haul like Amazon, Apple, and Facebook. I invest in companies I use and believe in. I buy, but I don’t sell stocks very often because I want to minimize my taxes and if you hold an investment for at least a year then it is only subject to capital gains tax – approximately 15-20%. I definitely don’t day trade or recommend that anyone day trades – it’s too risky and emotional for me. It also takes way too much time and most people loose money. Day trading is actually one of my biggest money mistakes. 5% is invested in physical real-estate and REITS. I am looking to invest in more real estate properties after my decision to buy instead of rent helped me make over $350,000 on a property in only 4 years. I am planning to keep investing at least 5% of my portfolio in real estate and starting to explore investing in multi-unit buildings (but finding a deal is tough and this type of investing comes with a lot of hassles). I’ll keep you posted. 5% is invested in non-traditional investments, like domains and art. While these can both be great long-term investments, both of these are more speculative – but I know them well, so can make educated purchases. I have made a lot of money investing in domains and only recently started investing in art, but look to expand both. I’m a huge fan of domain investing. Please note: This percentage distribution fluctuates quite a bit during the year, depending primarily on the value of the individual equities that I own and my real estate property. As I continue to build more wealth I am planning to pursue other diversification opportunities (those mysterious assets and alternative classes the wealthy may or may not make money on!). As you make more money, diversification becomes more important, since you don’t want too much of your money in one type of investment. Right now I am probably a bit over-exposed in equities, but at only 32, I have a long time horizon. That’s it. I invest in things I understand with low fees and minimal taxes. Those are my 3 essentials for successful investing. I personally don’t have anything that I am saving for in the short term, so a vast majority of my investments I am holding for the long haul. If I do decide to buy another property in the next few years, then I will plan to take that money out of my brokerage account, or start building a cash reserve once I have a new purchase goal. But since I am not sure that I will buy anything large in the short-term, then I am keeping my investments focused on a longer-term time horizon. A lot of my early retirement calculations are based on mostly staying invested in equities and expecting a 6% compounded annual return over the next 30 years. I personally think that a lot of people sit on too much cash, but that’s a personal decision and for a lot of people, it helps them sleep at night. I sleep better knowing my money is making money, and even if I lose money in the short term, over time I will come out way ahead! But, if you do want to save for a vacation, home, car, or make an investment in the next 1 to 5 years, then I don’t recommend you put your money into 90%+ equities like me. That’s likely too risky since stocks can go up and down wildly over any short term period. The last thing you want is your investment to decline 20% right before you find the perfect house or are ready to take that vacation. So for short-term investing, I recommend you keep your money in a bond fund like the Vanguard Total Bond Market Index Fund or a certificate of deposit (CD) at your local bank. These two options are definitely better than keeping your money in a savings account at 0.1% interest, where you are actually going to lose money due to inflation. Another option if you are willing to take on a bit more risk is a balanced index fund like the Vanguard Wellesley Income Fund, which invests in approximately 60% bonds and 40% stocks, so you can generate a higher return (with slightly higher risk). Over the past 5 years, the Wellesley has returned 6.98% per year! Alright, that’s it. Pretty simple. Following this investing strategy and managing my investments myself were essential in helping me reach $1 million in five years. My investments also continue to grow and I’m still benefiting from the compounding of the money I started investing in 2010. Please remember that I am not a financial advisor and that any investing comes with risk, but I hope this helps you on your journey to financial independence and beyond. “A vast majority of the reason people get poor investment returns is because they get emotional.” Yes, yes, yes! If you can remove or drastically minimize emotions from investing and rather employ knowledge, logic and discipline, you can set yourself up for investing success. Thank you for the killer post, Grant, and for sharing your investment strategy. It’s awesome to get some insight into how you roll. I am of a similar mindset and belief. Currently, we are also only invested for the long-term and utilize Roth IRAs and a 401(k) to do so. Also on the radar is investing in real estate. We had what sounds like a similar experience to you. We bought our primary residence at the very bottom of the market in 2010, at age 23 and have benefited from a ton of appreciation. Next on the list is to pick up our first investment property. Thanks, again, for the really great post. Thanks Cody. I’m happy you enjoyed the post. The longer I invest the less emotional I get, because the system really works. Since I know I have a solid investing strategy, I focus a lot more of my time on making money instead of tinkering with my investments. Great article about investing. so many people don’t know how simple investing can be. Vanguard is a great way to DIY. There are investing minimums on most of their mutual funds/index funds, however there are no minimums on ETFs. Several ETFs are the same as their mutual/index funds. For example, VTI is an ETF that tracks as the total US stock market (same as VTSMX/VTSAX) and you can buy one share at a time instead of the minimum $3,000. Plus, you get the same expense ratio as the admiral shares ($10,000 minimum). 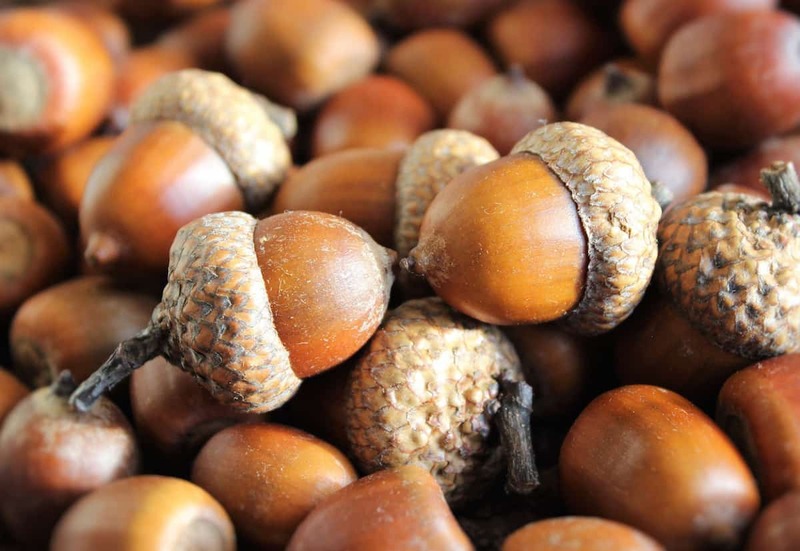 ETFs are a great way to start investing without having a lot of cash on hand. Thanks Ian. That’s a great point about ETFs that I completely missed. I will edit the post to reflect the no minimums on Vanguard ETFs. I appreciate you bringing it up. Right now I’m keeping it pretty simple: maxing my Roth IRA in a Vanguard dividend index fund, getting the company match in my 401k and investing in index funds there, and looking to build wealth through real estate and the internet. Whenever someone asks me about investing, I usually tell them first to get an emergency fund and to track their net worth. After that stage, then Vanguard will do the trick. Great steps Erik. Do you only contribute in your 401k until you get the match or are you trying to max it out? I think it’s a great decision to max out the Roth IRA before maxing out the 401k, but would recommend pushing the 401k limit when you can. 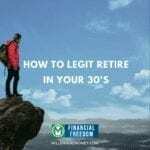 I’m actually a huge fan of investing your emergency funds – do you do the same since you have Roth IRA that you could withdrawal the contributions tax free? 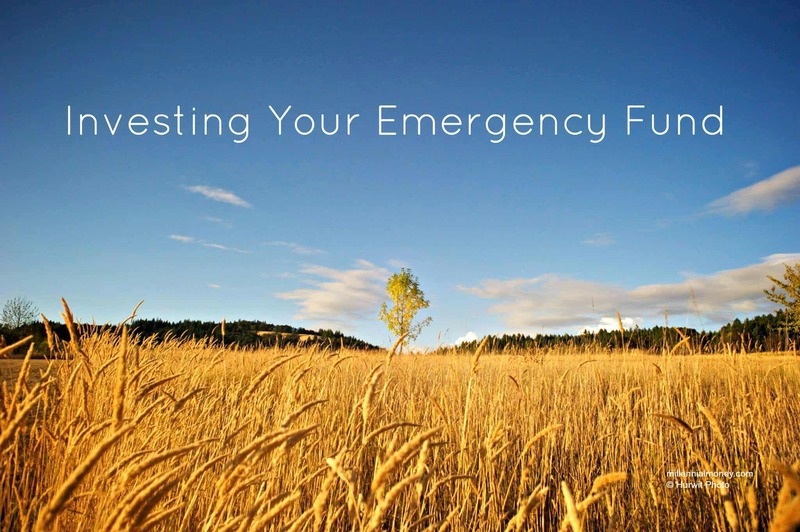 I find having cash emergency funds and a Roth IRA redundant and I’ve always invested my emergency fund. Thanks for sharing! Wow! Talk about an informative blog post on investing =). Everything you stated in this post is pretty much spot on. It’s great to hear we are going about investing the right way. Really hope this article reaches the right people. Too many people are way too afraid of the market and miss out on so much opportunity! It’s really sad. Making Sense of Cents just had a great article today that 56% of American’s have less than $10,000 saved for retirement! That number is staggering. What are your thoughts on using a Robo Investor like Betterment or Wealthfront for “beginner investor”? Thanks Savvy Couple. I used Betterment for a year – you can check out my review here: http://millennialmoney.com/betterment-review/ but then I switched over fully to Vanguard, because I wanted to manage all of my money myself. Betterment is great if you want to be completely hands-off, but their fees will add up over time, so just putting money in a Vanguard index or target date fund will be a lot cheaper long term. Thanks for sharing your investment strategy, Grant. I think you’ve got an excellent plan in place to manage risk. I also try to avoid investing in companies that I don’t understand too. In regards to what I invest in, my portfolio is invested in mostly in Canadian bank stocks right now. Since I am a dividend investor, I keep a list of companies worth investing in and add to them as frequently as I can. I also like reits. I am looking to add REI.UN to my portfolio in the near future. Although my portfolio is not as diversified as perfectly as I would like it to be, I have plans to improve that as I build it over the next 10 or so years. My ideal portfolio consists of 12 to 15 high quality blue chip stocks with a bond index, 5 to 10 % money market portion, and the rest in an S&P 500 Index ETF. Pretty solid strategy. The only thing I’d further stress is the importance of low fees with those vanguard funds. Fees are usually what get people. Speaking of fees. WHO are the people promising 30% annual profit at these conventions? That’s ridiculous. Plus I assume that have insane fees that they try to justify with a 30% return they got one time in 1978. I like that you expand into other areas like domain investing. I’m not sure if it’s advice I’d give to anyone, but it’s a really fun hobby to have. Thanks Wallet Squirrel. Love your blog name! I know the 30% is ridiculous – I literally laughed out loud when he said it. Great post, Grant. I see someone caught the ETFs at Vanguard that don’t require a minimum. The ETFs are also very low cost. I have access to the Admiral Share funds at Vanguard in my 401k – anyone with Vanguard options should see if there are Admiral funds because they are extremely low cost. I keep a mix of 95% stocks and 5% bonds. I also invest in a Roth, my HSA, and a taxable account. Do you recommend using robo adviser accounts such as Wealthfront and Betterment for investing? I opened up a personal taxable account with a robo adviser but I was wondering if it would have been smarter to open a traditional IRA instead? Hi Brian. If you don’t yet have an IRA, then yes I recommend opening a Roth IRA if you are going to use a robot advisor, before open a taxable account. Thanks for the advice Grant! I do think financial adviors can be helpful but it’s important to hire a “fiduciary” becuase that means they put your needs above their own personal interest. I’ve also heard horror stories on the high fees that some investment products have, so good job in recommending Vanguard. I really appreciate the short-term and long-term advice. After building my emergency fund, I’m focusing on maxing out my 401k. I’ve heard about IRAs, but I’ve been focusing on researching all the possibly options I have. You definitely narrowed down some options! I’m also was looking to invest into only low-index funds, so thank you for listing out some of the other investments you built. After reading your experiences, I’m more optimistic about my future than before! Most of the people around me focus too much on saving and the short term, so I’m going to share this information. Nice! Thanks for the kind words Ariel. So many people talk about “investing” as one topic, when short-term investing and long-term investing are very different. I plan to stay true to this strategy for the long haul – all of the data really supports it’s a solid long-term strategy. It sounds like you are on the right track. Hello Grant, any thoughts on NVIDIA (NVDA)? Great investing advice overall, very similar to what Warren Buffet does. Thanks! Thanks Matt. I don’t know anything about NVDA. Nice article, Grant. Isn’t the 401K contribution limit $18,000? Good catch! Fixed. Thanks Evan. Be careful using a traditional to back door Roth IRA conversion with a SEP-IRA….I believe the pro-rata rule forbids this. Maybe consider a solo 401k instead? Otherwise, great article! Thanks Hannah. Good word of caution! Thanks for this post. It’s really nice seeing someone lay out their strategy. Often times we get caught up in the tactics of investing and forget that the strategy is much more important. I am curious how often your strategy has changed before you found the winning strategy. 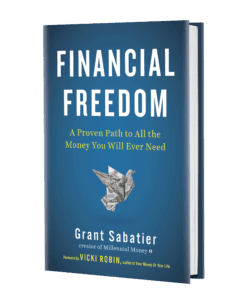 Grant, I am beginning my financial independence journey in my mid twenties and really have just got started. I am really interested in ETF investing. Can you clarify what happens to and index fund were the individual equities of the stock market to fall. At that time does an investor need to look at changing the indexes in a portfolio. I am going to begin reading the coffeehouse investor book you have recommended and look to build my knowledge further through the coming months approaching my employer 401 k program which starts in July. I appreciate any advice you can lend. Good investments techniques and strategies are mentioned in this post. Investment in the different finance sector is different. With this full of informative post, we can choose safe investment area with the minimum investment amount. Thanks for sharing this post. Hi Grant I like the article, and the overall themes. However, I would disagree with the part related to investing in CD’s with your local bank, most of the time these do not even keep up with the pace of inflation. I’d like to see more about putting money in an online bank, or investing in money market funds or stable value funds for those trying to keep their money liquid in the short term. Like your ideas though, keep them coming. This is a very informative article. In fact, I am a huge proponent of index fund investing. Btw, it was interesting to see how people spend over $15 per week on lottery tickets.